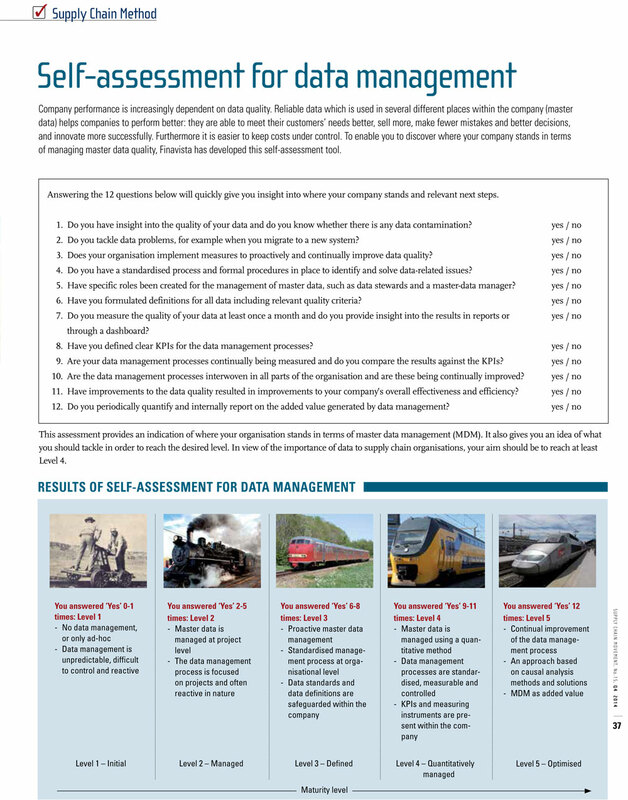 What type, what style or at what stage is your company concerning supply chain-related topics? 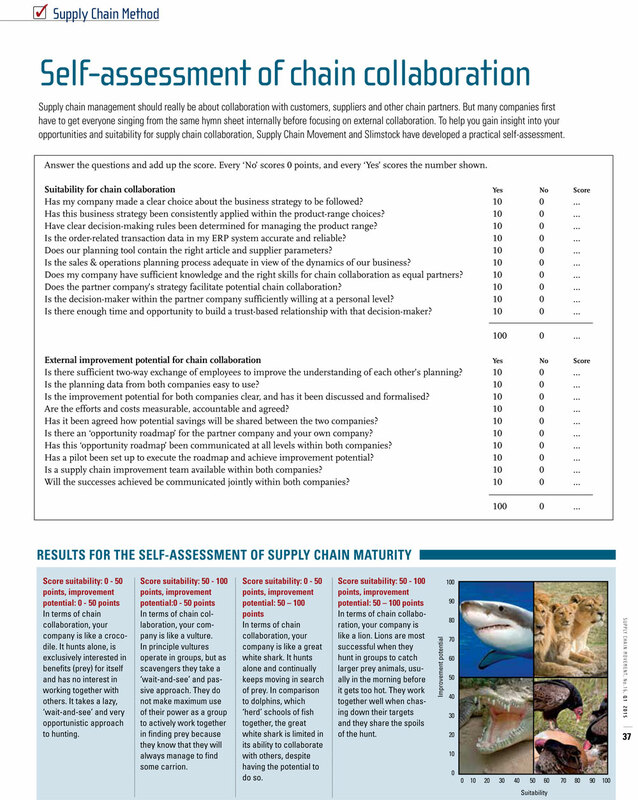 Answer 10 questions to gain insight into the maturity of your supply chain organisation. Published both in print and online as a whitepaper download to generate leads. More information about the conditions and costs involved in developing a self-assessment is available on request.